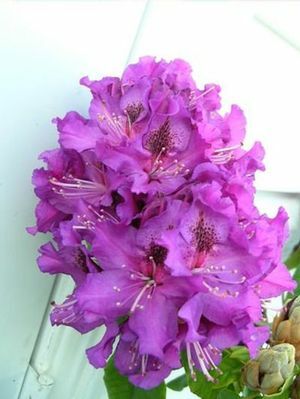 Deep purple flowers have dark spots. Midseason bloom. Shiny, wrinkled foliage. 5 feet in 10 years. H2.